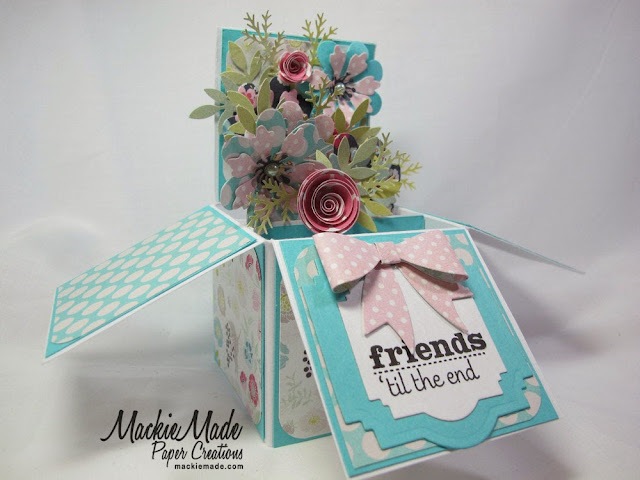 A friend of mine told me about this fun Card In a Box tutorial by Monica Gale of My Many Passions, so I just had to try it out! It was so much fun! And it folds up into a 5 1/2 x 5 1/2 square, so you can put into an envelope. Well...if you don't use rolled up flowers like I did! I am going to submit this into the current Simon Says Stamp Wednesday Challenge which is something new. This technique is new to me and my MME"Adorbs" paper pad is new! What a beautiful work of art Mackie!! Wow your dimensional flower garden is just beautiful. Fabulous work my friend!! Oh Thank you Mackie I love it, I will send you my address! lol This is a great card box, I love it and it folds flat! Wow looks fabulous too. I need to try one of these!! Hmm Thanks for the inspiration! WOW Mackie! My jaw hit the floor! What a gorgeous project! I love all those beautiful blossoms and fun little box packed with goodies! Oh my GORGEOUSNESS! Mackie this is fabulous! My jaw dropped when I saw the picture! Gorgeous flowers and just such a beautiful card! Love it! Love it! Love it! Wow! A card in a box! How sweet and beautiful is that? Awesome...love it! Oh my word! This is a total owrk of art! Such a gorgeous creation! This is amazing. I love the colors and what a great keepsake it will make! 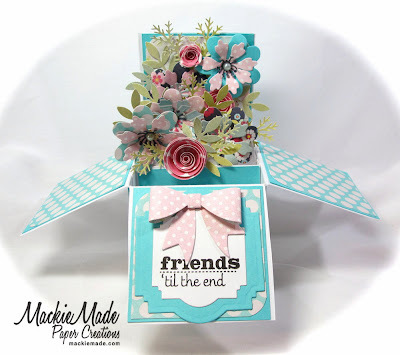 Thank you for playing along in with our Something New Challenge this week over at the Simon Says Stamp Wednesday Challenge Blog! OH, my... this is beautiful Mackie. Love the flowers and the whole card in a box idea. Just AMAZING, Mackie! Love this box of flowers!